• A novel needs a larger number of characters to sustain it, each of whom must be memorable and develop as the story progresses (because in a novel with 100 characters, for example, the reader will always remember the 3 or 4 who were poorly developed). • Unlike short stories, most novels need more than a single storyline to be engaging. Sub-plots are often used to spur character development and explore various ideas that can’t be handled in the central narrative, but everything must tie together by the end. This requires considerable planning on the writer’s part. But there are challenges to writing at the other end of the spectrum – the domain of flash fiction. Flash fiction, as the name implies, is fiction of a very brief nature – usually under 1,000 words. At first glance, you might think flash fiction would be incredibly easy to write because it’s so short, but therein lies the challenge: a flash fiction story still needs a plot, characters, and some sort of conflict that gets resolved (or at least promises to be resolved) by story’s end. However, there’s no space for purple prose, excessive adverbs, pages of internal monologue, or unnecessary characters. The writer has to be focused, and be prepared to make the reader work. I tried my hand at very short (micro) flash fiction recently, for an annual contest called AE Micro. The word limit was 200 words (including the title), and the theme given was “space”. I managed to write the basic story in about 220 words, and then pared it back to accommodate some additional nuances (because the piece focused on action-oriented dialogue, and I still had to provide story background and give the reader an idea of the relationship between the two characters). Then I had to cut it back yet again to meet the word limit (which was firm). It was 199 words in the end. While the piece didn’t make the cut in the end, it was still a rewarding experience because it forced me to really focus on the key elements of the story. That sort of discipline, if applied to short stories and novels, can only be helpful. When writing fiction, I want my work to have staying power long after the reader puts the piece down. So much so, that the reader will re-read it, again and again. Getting a reader to commit some of their finite time to reading your work again requires some extra effort: stories and characters can’t just be “good” or “memorable”; they have to seize the reader and fling them into an immersive sensory experience, such that when they close the covers they can be content that reading your story was time well spent. The desire is no less strong when writing for roleplaying games, but the challenge is different. A well-crafted work of fiction can be engrossing, inspire the imagination, and evoke strong emotions, but in the end the reader is having a story told to them. While a good roleplaying game will get the reader’s creative neurons firing, it is different in one important way: It is interactive storytelling. 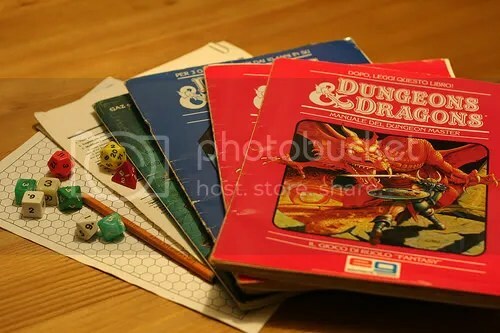 The players play their characters in a shared game world (i.e., a story), narrated by the game master (GM), that is being written as they go on their adventures, which are published by companies in booklets called “modules”. Unlike a conventional book, a roleplaying story only ends if the characters die, or everyone decides to stop playing. Because adventures are only as exciting as the players and GM make them, the work of the roleplaying writer in crafting a compelling scenario (which can be considered the building materials for the shared roleplaying experience the gaming group will create) is critical. This is where the concept of “value-added” comes in. Because a roleplaying module isn’t a book that can be casually re-read, the roleplaying writer has to throw in something to encourage the GM to return to the module once the main adventure is over. A good way to do this is by adding extra information and other resources that can be used anytime. The easiest to create are memorable recurring characters (with enough background information to ensure that the GM refers to the module again), historical background that provides enough detail to hopefully inspire the GM, new magical items and other treasures, and of course new monsters that can be used anywhere in the game world. In this way, the module evolves from being a one-shot product into a useful resource. All this requires good planning beforehand, and extra work. An example of how this comes together in an adventure module can be seen if we look at “adventure hooks”. These are scenarios in outline form, usually placed at the end of a module, to give the GM ideas for further adventures. To do this, the writer needs to add locations to the region in which the action takes place (on top of those that are central to the main adventure) that the players can explore after their quest is finished (or during, if they get distracted or need to wait for something plot-related to happen). Each of these locations should either have one or more memorable characters, or an encounter that challenges the characters. There may or may not be a reward for dealing with whatever challenge might be there. A good adventure module will also have hooks for locations and/or people that are already central to the plot – this will give the product even more staying power. Going the extra mile by adding details beyond what is necessary to the adventure itself, shows that you, the writer, have a longer-term vision for the product. Doing so also allows you to include ideas that don’t necessary fit the central storyline, but will still enhance the playing experience. Above all, you may get some new ideas about what to write in the future – which is never a bad thing.